The IBD5 locus (OMIM ID 606348) on chromosome 5 was suggested to be one of the most important genetic factors involved in the pathogenesis of inflammatory bowel diseases (IBDs). However the main contributor from this region is still unknown. We investigated the possible association of the IBD5 locus with IBD in Slovenian patients and correlation between disease-associated single nucleotide polymorphisms (SNPs) and quantitative gene expression (eQTL) of candidate genes from the IBD5 locus in peripheral blood lymphocytes and colon tissue biopsies from IBD patients. We genotyped SNPs from the IBD5 locus in 312 healthy controls and 632 IBD patients. We found statistically significant association of polymorphisms rs1050152 in gene SLC22A4 (p = 0.005, OR = 2.177, 95% CI = 1.270–3.526) and rs2631372 in gene SLC22A5 (p = 0.001, OR = 0.473, 95% CI = 0.307–0.731) and TC haplotype of both polymorphisms (p = 0.006, OR = 1,541, 95% CI = 1.130–2.100) with refractory Crohn’s disease (CD) in Slovenian patients who do not respond to standard therapy, including patients who develop fistulas. We found decreased expression of SLC22A4 and SLC22A5 genes in peripheral blood lymphocytes from IBD patients compared to control group and decreased expression of SLC22A5 gene in inflamed tissue biopsies compared to noninflamed colon (p = 0.009). We found lower expression of SLC22A5 gene in IBD patients with disease-susceptible genotypes for both disease-associated SNPs. 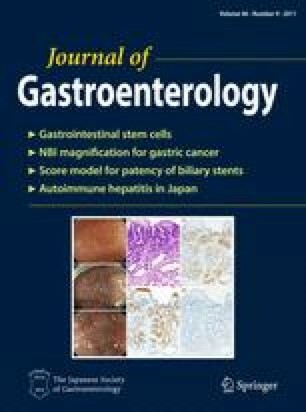 Our data suggest that SNPs and haplotype in the IBD5 SLC22A4/SLC22A5 region contribute to the development of particularly refractory Crohn’s disease in the Slovenian population, and expression studies in blood lymphocytes and colon tissue biopsies and eQTL analysis suggest that SLC22A5 is the main gene in the IBD5 region contributing to the IBD pathogenesis. We would like to thank the Department of Gastroenterology and Endoscopy at the clinical center of the University of Maribor for clinical samples. This study was supported by the Slovenian Research Agency.